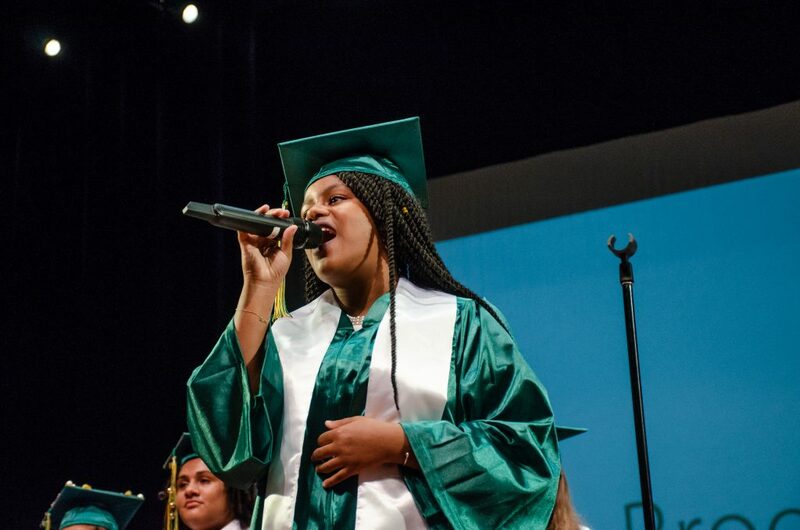 In June, Brooklyn Prospect Charter School’s third graduating class walked across the stage to gather their hard-won diplomas. 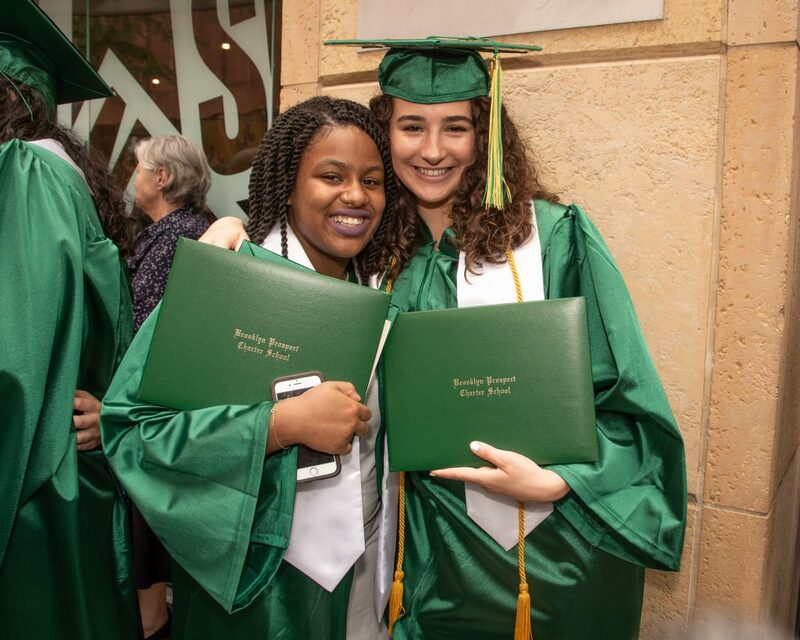 The Class of 2018 received acceptances to 83 colleges and universities across the country. 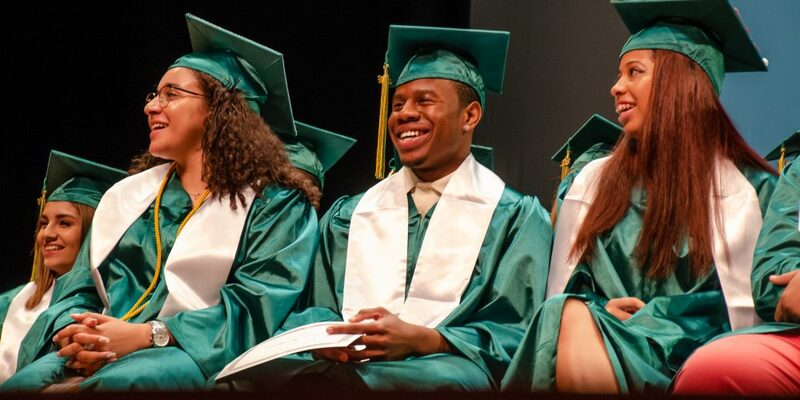 We are incredibly proud of the work they’ve done to get to this point and, while we’re sad to see them go, we’re also anticipating greatness from this special group of students. 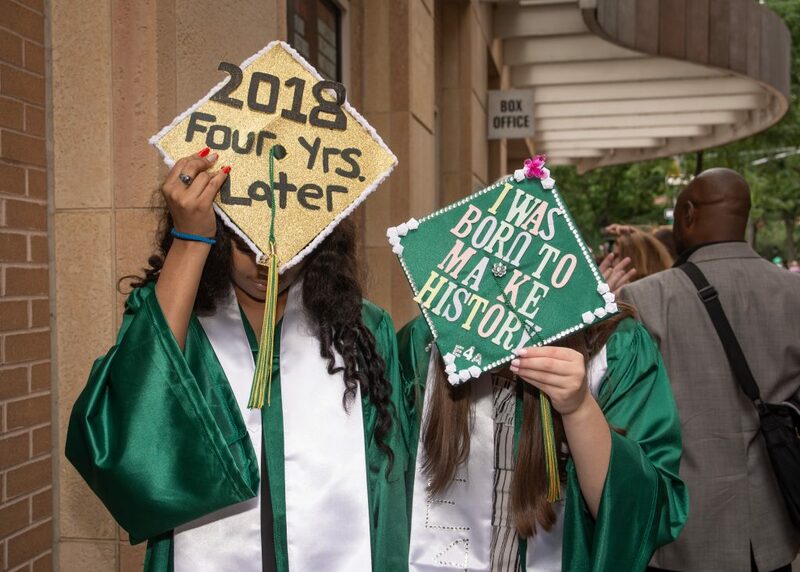 Thank you to the faculty, staff, parents and friends who helped them achieve this milestone, and… Congratulations, Class of 2018! Enter your email address and receive the latest news and announcements. 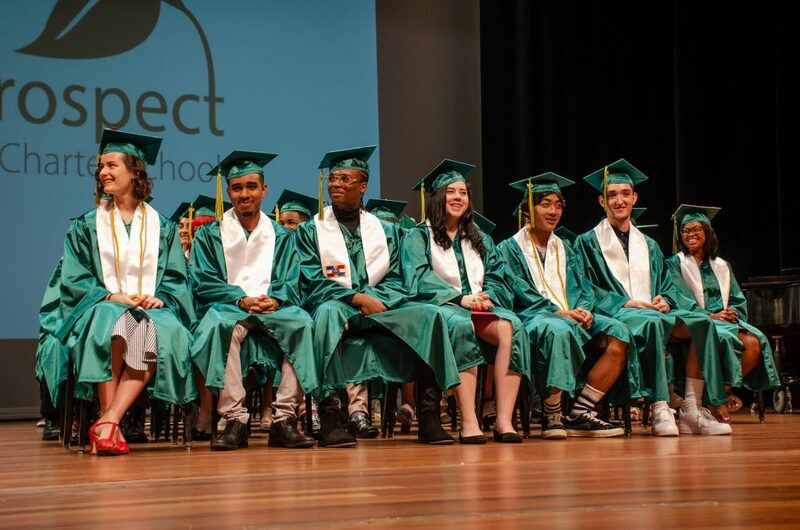 ® 2018 Prospect Charter Schools|Designed by Proof Branding|Prospect Schools is a non-profit charter management organization offering grades K-12 in New York City and Connecticut. Statement on Accessibility: We are working to make this website easier to access for people with disabilities and will follow the Web Content Accessibility Guidelines 2.0. If you need assistance with a particular page or document on our current site, please call or contact info@brooklynprospect.org for assistance.